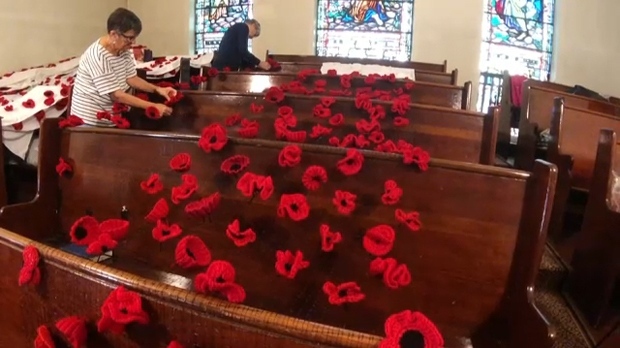 The 20 members of the knitting club at Calgary’s Cathedral Church of the Redeemer have received an outpouring of support for their effort to commemorate the one hundredth anniversary of the ending of the First World War. Pippa FitzGerald-Finch witnessed a similar display of hand-knitted poppies in England and decided to bring the idea to Calgary. She convinced her fellow members in the knitting club to take up the cause. The poppies will be draped over the exterior of the Cathedral Church of the Redeemer, 604 1 Street Southeast, in mid-October and will remain in place through Remembrance Day.